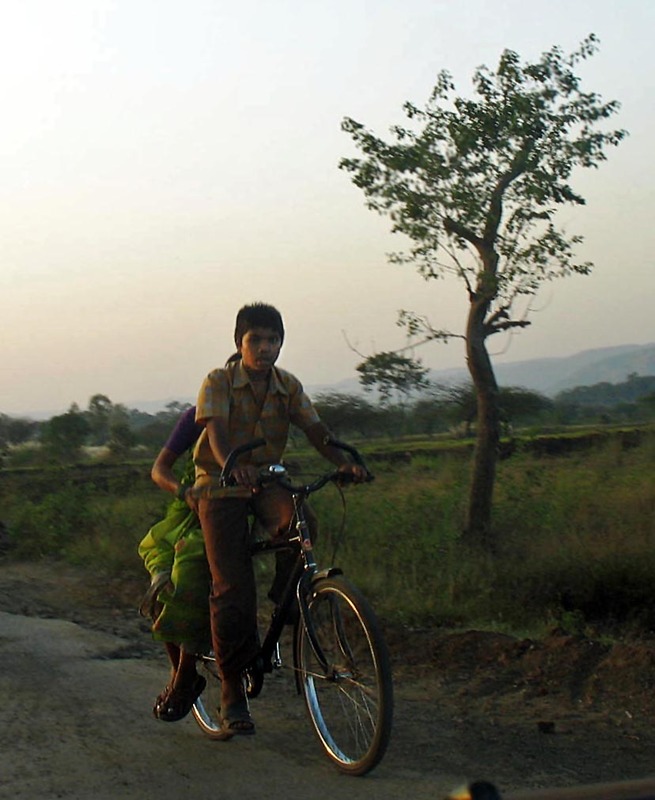 This picture of a young boy on a bike with his mother speaks a thousand words...about working children, about poverty, about the bond between mother and child, about the poor state of roads in rural India. It is a photograph of a young boy, barely 12 years old, carrying his mother double-seat at the back of a bicycle. More images of Children or Rural India.